The Central working committee meeting of AIPEU Group ‘C’ was held at Baba Makhan Shah Lobana Bhawan, Sector 30-A, Chandigarh (Punjab Circle) from 6th to 7th February 2016. On 06.02.2016, the programme commenced with the flag hoisting. National Flag was hoisted by Com. 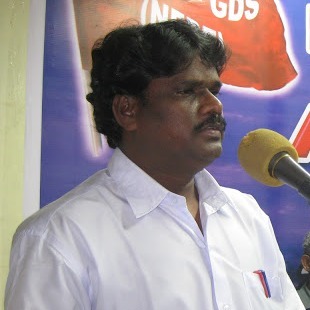 K. V. Sridharan Ex-General Secretary, P3. NFPE flag was hoisted by Com. M. Krishnan, Secretary General, Confederation & Ex-Secretary General, NFPE& Ex-General Secretary P3, AIPEU Group ‘C’ Flag was hoisted by Com. S. R. A. Majgaonkar, Working President, P-3. After that homage was paid to the martyrs by observing two minutes silence. All the leaders, Guests and CWC members including CHQ office bearers, Circle Secretaries and Mahila Committee Members were welcomed and honoured by the Reception Committee under leadership of Com. Jagdish Dhiman, Circle Secretary P3 Punjab and Com. Laxman Singh, Circle President, P3, Punjab by garlanding shawls and presenting momentos. The meeting was presided over by Com. 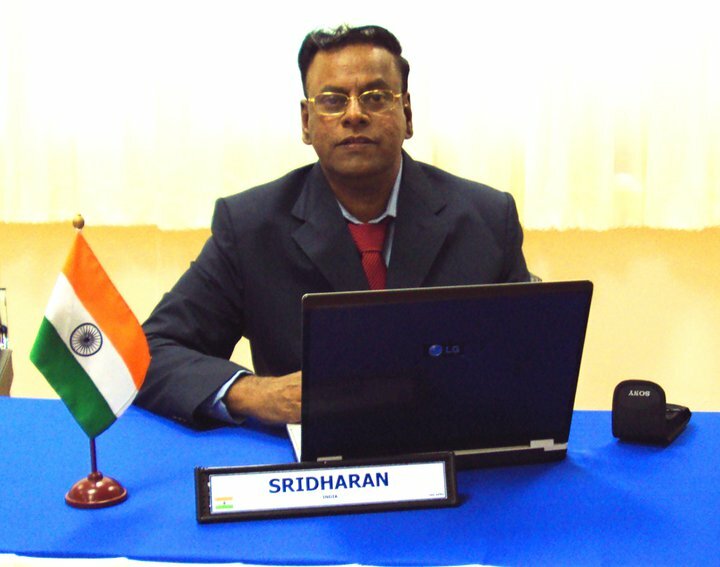 S. A. R. Mazgaonkar, Working President as Com. J. Ramamurthy, President could not come due to marriages in his family. Com. Jagdish Dhiman, Circle Secretary, Punjab delivered welcome speech. Com. R. N. Parashar General Secretary welcomed all leaders, guests and CWC members and visitors who participated in the meeting and delivered introductory speech. Com. M. Krishnan, Secretary General, Confederation inaugurated the CWC. During his inaugural speech. He elaborately described the pay commission related issues including sectional issues of Postal and emphasized the need of united struggle to achieve the justified demands and to resist the onslaughts on working class in the wake of neo-liberal economic policies. After that discussion started on agenda items of CWC. Com. R. N. Parashar, General Secretary presented draft report on the activities of P3 CHQ. Com. R. Seethalakshmi, General Secretary, P4 and Com. K. P. Singh, Deputy General Secretary, R-3, Com. P. Pandurangarao, General Secretary, AIPEU GDS(NFPE) also graced the occasion by delivering their speeches and conveyed best wishes for the success of CWC and extended solidarity with P3 for ensuing struggles. Every leader stressed the need of formation of GDS Union. In the afternoon of 06.02.2016 Hon’ble Mayor of Chandigarh Municipl Corporation participated in the meeting and he delivered his speech and welcomed all. Com. Raghunath, General Secretary CITU Punjab state also addressed the meeting. During the speech he very nicely presented his views about the adverse effect of neo-liberal economic policies on working class in general and central Government employees and postal workers in particular. Com. K. V. Sridharan, Ex-General Secretary, P3 and Ex-Leader Staff Side, JCM (DC) delivered his speech. He addressed all the issues confronting to Postal employees, particularly P3 employees. He elaborately described the problems and difficulties being faced by P3 Employees due to CBS and CIS rollout. He stressed the need of united struggle taking in to account the all issues of Postal workers. All Circle Secretaries, CHQ office bearers and Mahila Committee members presented their views on agenda items. Circle Secretaries of Andhra Pradesh, Assam and North East did not attend the CWC. At last the General Secretary summed up the discussion by giving brief reply on the querries raised by the CWC members. He assured all that the issues confronting the P3 employees will be dealt with full care and maximum efforts will be undertaken to settle those. The most confronting issue was the problems and difficulties being faced by the employees in CBS roll out offices. All the CWC members asked for agitational programme to mitigate the suffering caused due to CBS and CIS. So the following programme of action was decided unanimously. 1st Phase - Demonstration in front of all Divisional offices & submission of memorandum. CHQ will submit a memorandum to Secretary (P) & Minister. 2nd Phase - Mass Dharna in front of all Divisional Offices. 3rd Phase - Mass Dharna in front of all PMG and Chief PMG offices. 4th Phase - One day Hunger fast in front of Dak Bhawan by All India Leader. After this next phase of programme will be announced including strike. Dates will be announced after discussion in the NFPE Federal Secretariat for envolving joint programme Memorandum will be prepared by CHQ/NFPE and circulated to all. 2. Pay Commission & Cadre related issues upgradation of pay scales. 3. Implementation of cadre restructuring proposals before implementation of 7th CPC report. 4. Filling up of vacant posts in all cadres of Department of posts. 5. Implementation of Jodhpur Judgment and grant MACP to all the promotees. The arrangements made by the reception committee were praised by each and every one. P3 CHQ extends all thanks and greetings to the reception committee under the leadership of Com. Jagdish Dhiman for making excellent arrangements in all respects. The CWC was concluded by the presidential address by Com. S. A. R. Mazgaonkar. At last meeting was ended with revolutionary slogans. We have written under the cover of the NJCA’s letter in No JJCA/2015/7th CPC dated 11thDecember 2015 our comprehensive suggestions for effecting changes in the recommendations of the 7thCPC. This was also subjected to discussion with the JS (A) of DOPT on 11.12.2015 in response to the letter in No 3/1/2015-JCA dated 10-12-2015.